While consuming alcohol can be safe in moderation, binge drinking has many unintended side effects on your personal and even professional life. According to the Centers for Disease Control and Prevention (CDC), over 15% of U.S. workers report being impaired by alcohol at work at least one time during the past year, and 9% of workers reported being hungover at work. First, it’s important to understand the definition of moderate drinking versus binge drinking. “Moderate drinking is defined as two drinks for men and one drink for nonpregnant women. This refers to standard drinks, which is equal to 14.0 grams (0.6 ounces) of pure alcohol,” says Florence Jaffa, DO, doctor of osteopathic medicine with University of Maryland Community Medical Group - Primary Care. According the the CDC, binge drinking is defined as consuming four or more drinks in a single session for women, or five or more drinks during a single session for men. “Typically, binge drinking would bring the blood alcohol concentration (BAC) level to 0.08% or more,” says Jaffa. Contrary to popular belief, most people who drink excessively are not alcoholics. 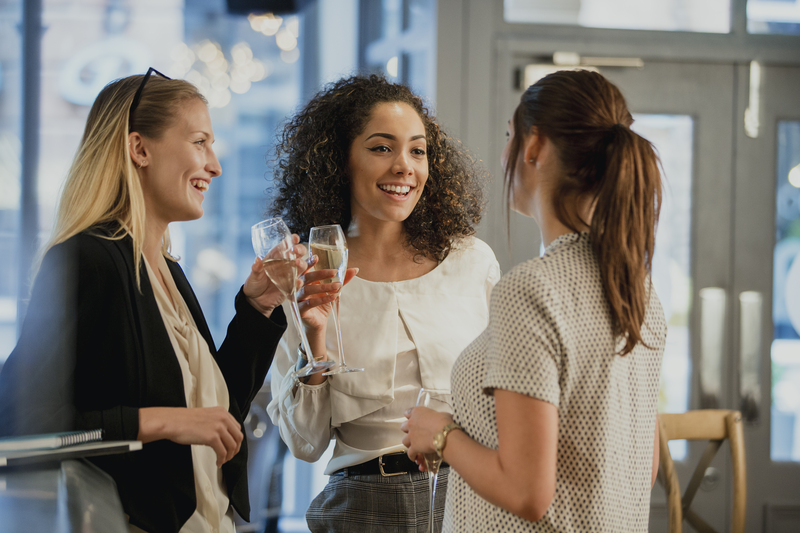 For most, drinking on the job is obviously frowned upon, but even indulging outside of work hours can have a negative impact on your professional life. Drinking excessively leads to performance-hindering side effects like poor sleep. “Alcohol may help you fall asleep initially but it results in very poor quality sleep overall. It prevents you from falling into REM sleep, which is the restorative, good quality sleep that we all need. It is extremely difficult to have a productive day at work after a night of poor sleep,” says Jaffa. With this in mind, it’s little wonder that drinking outside of work hours has also been linked to the frequency of absenteeism, feeling sick at work, and sleeping on the job according to the National Institute on Alcohol Abuse and Alcoholism. According to the CDC, alcohol misuse cost the U.S. $134 billion due to lost productivity in 1998. One of the most overlooked consequences of drinking is increased anxiety and depression. Although consuming alcohol initially leads to feelings of relaxation, the effect is not long-lasting. “My patients are often surprised when I remind them about the psychological or mental health risks, especially the anxiety, depression, and even increased risk of suicide associated with binge drinking,” says Jaffa. Lowered inhibitions when binge drinking can lead to the drinker performing risky or socially unacceptable behaviors, potentially causing feelings of shame or regret when they return to their normal mental state. This can increase feelings of anxiety after a binge drinking session. The Mental Health Foundation has also found that regularly consuming alcohol at excessive levels decreases the level of serotonin in your brain -- a chemical that affects mood and depression. In the long term, this can create a habit of alcohol dependence. People who binge drink are more likely to find themselves in high-risk scenarios or incur injuries while performing day-to-day activities. “Binge drinking places individuals at an increased risk for accidents, traumas, injuries, and social or legal issues,” says Jaffa. While there are many potential scenarios that could cause injury or bodily harm while drinking excessive, falling, risky sexual behaviors, violence, and car accidents are the most common. Unsurprisingly, driving while intoxicated is one of the most prevalent and risky behaviors people engage in after binge drinking. In 2015, nearly 10,500 traffic deaths in the United States in 2015 were related to alcohol use -- that’s 28 percent of all traffic fatalities. In total, more than 85,000 deaths a year in the United States are directly attributed to alcohol use. Concerned about your alcohol consumption? Talk to a primary care provider near you.